Losing weight can be hard, and it’s something I think most women struggle with at one point or another. 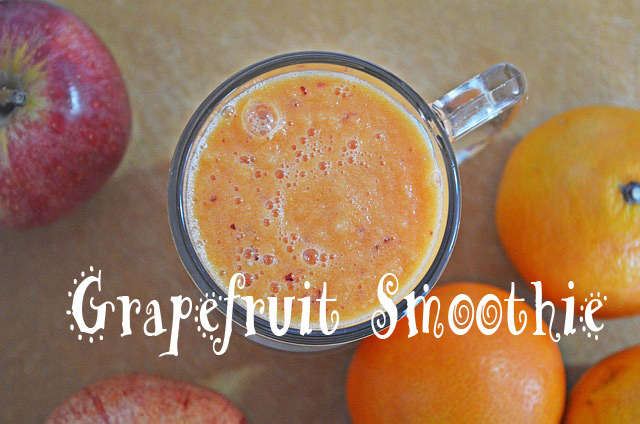 This is a great smoothie if you’re trying to lose weight; it’s full of grapefruit, so it’s going to speed up your metabolism, contains a large amount of fiber, to keep you full and protein, to stabilize your blood sugar. If weight loss is something you’re interested in then give this smoothie a try and serve it up a few times a week. Place all ingredients in a blender and blend until smooth, makes one large smoothie. Add ice if you want it to be colder.